You only have to look at Nick Wilty to know that he's got something to say. And fortunately his comedy is as sharp as he looks. 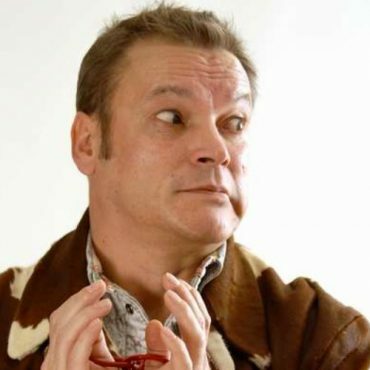 Known in the trade as the ''Globetrotting Comedian'', Nick has performed on every continent except Antarctica although he once did do a show in Tierra Del Fuego! \With his goatee beard and earrings, he is a must for the festivals and as well as, playing Edinburgh six times, has appeared at his spiritual home at Glastonbury five times as well as those in Auckland, Wellington, Melbourne, Adelaide, Montreal, Vancouver, Edmonton, San Francisco, New York, Amsterdam, Cape Town and Hong Kong. Nick has won several awards, including the Polo Mint Comedy Award, voted by fellow comedians and club owners in England, and Best International Act in San Francisco.